It’s that time of month again — BoxyCharm time! I know I say this often, but it always feels like my birthday again when I pull this cute black box out of my mailbox! And this month they even included a bonus item! 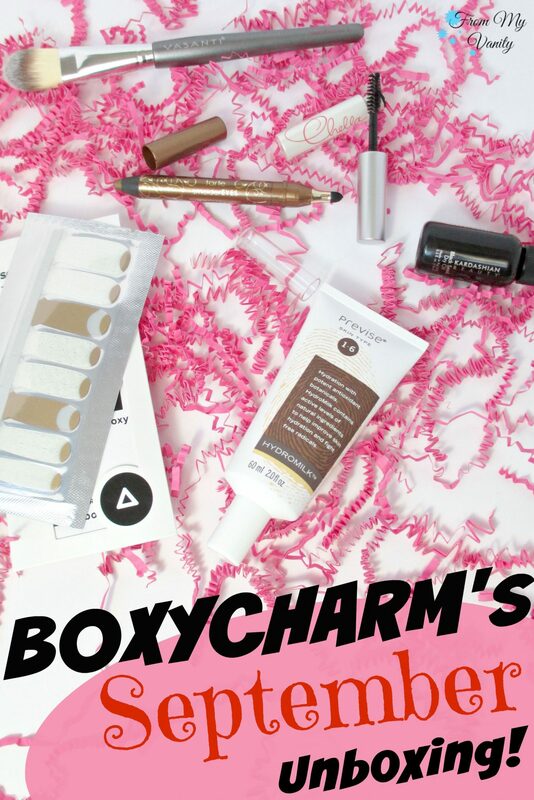 Just in case you’ve never heard of BoxyCharm before, let me give you a quick rundown of how it works! For only $21 a month, BoxyCharm ships out a box filled with 4-5 full size products. The value of each box is typically around or well over $100 each month. And shipping is free! So it’s like an Ispy, but 10 times better! 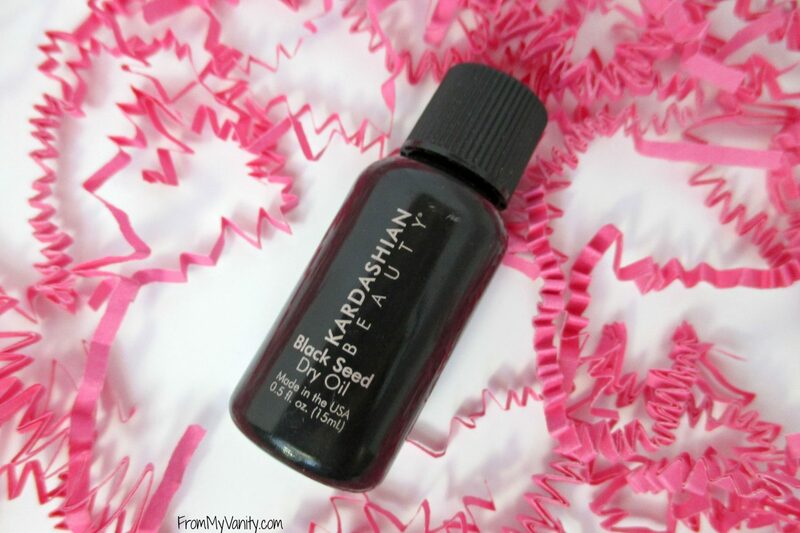 I’ve received products from new-to-me brands as well as popular, high end brands, too! It’s a great way to discover new products at an affordable price! 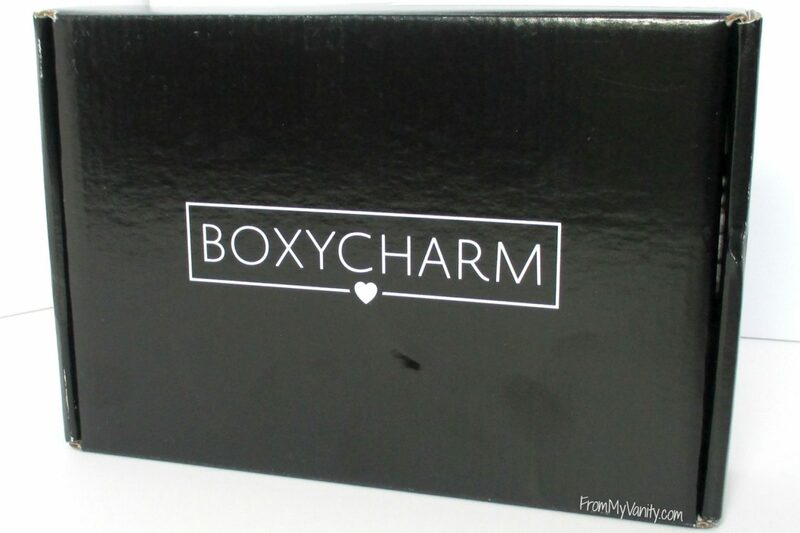 As is the custom now, your Boxycharm beauty items always comes in a cute little black and white box. I love these boxes, as they come in SO handy for organizing and dividing up my drawers. Do you like to reuse the BoxyCharm boxes? Share with me how! I would love to get more ideas! Here’s a little sneak peak of the products that came in my BoxyCharm box. Let’s dive into these products, shall we? The biggest item in this box were the nail wraps from a brand called Scratch, which I have never heard of before. I, personally, am not a fan of nail wraps (you can read why here), but I have lots of sisters who will be more than happy to take advantage of these nail wraps. The next item I pulled out of the box was this Chella Eyebrow Defining Gel. While I know you’ve heard me talk about how I don’t really use brow products because my brows are very full and thick, but I do like to use a clear brow gel to help hold them in place. So I’ll definitely use this! I was surprised, though, to find that this is the full size product…it’s so small! 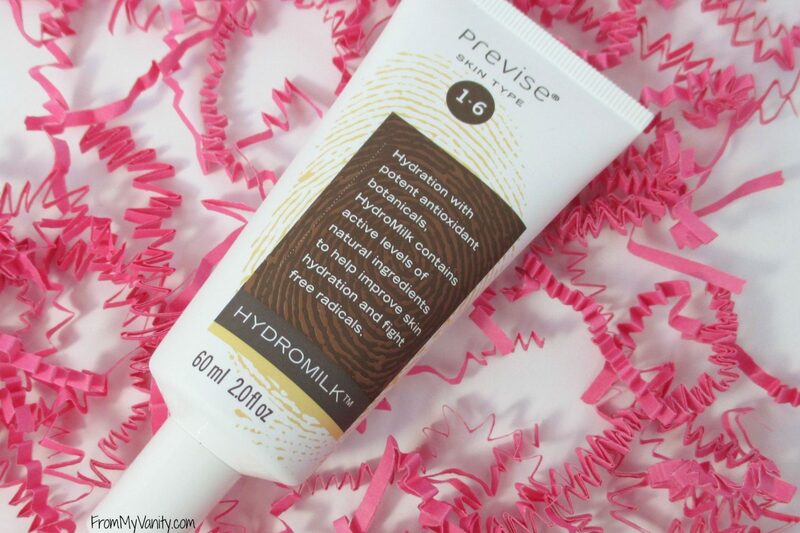 Even if the product turns out to be fabulous, I doubt I would spend the money to repurchase. There can’t be that much product in the tube! 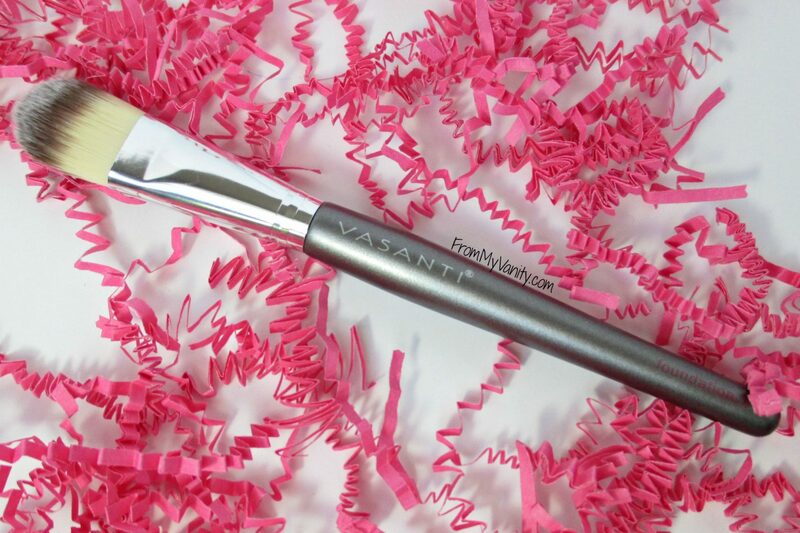 The next item that was hiding in the box was this foundation brush from Vasanti. Now, let me just say that when I first touched the bristles of this brush, I grimaced. They were so firm and the bristles all kind of clumped and stuck together! I was horrified — who would want to use that on their face — but the more I placed with the bristles, the softer they got. It still feels a bit stiff, so I don’t plan to try to use this to apply foundation (that would be a streaky-nightmare! ), but I will stick it in my bathroom to use to apply my face masks. So it wasn’t a total disappointed for me! Okay, who’s ready to add up these prices with me? So, as usual with BoxyCharm boxes, the value of the box is well over $100! The contents of the box weren’t the most exciting, for me, so I can’t say this is my favorite box (last month’s box is definitely still my fav! ), but still fun to get. I can’t believe the retail price of the brush and brow gel — overpriced, in my opinion! Or maybe I just really got a dud with that brush… But I’ll definitely be putting the liner and brow gel to good use! Look at Past Boxycharm Unboxings! 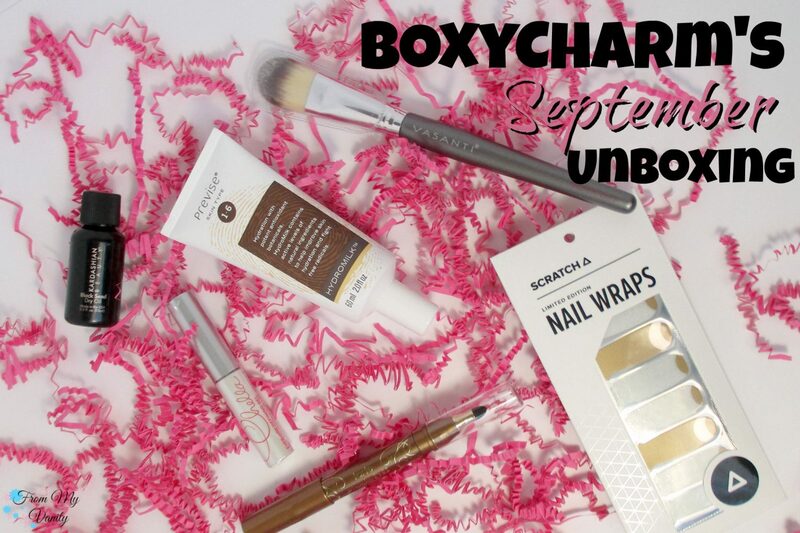 Are you subscribed to BoxyCharm? If so, let me know what you thought of this month’s box! And if anything was different in your box…share that with me, too! I love to hear what other gals got! Ok so I totally NEED boxy charm. 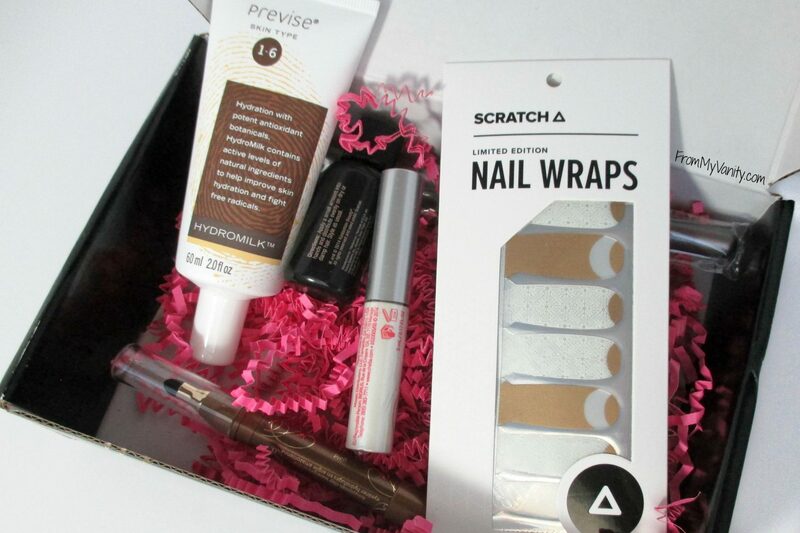 Each time I read a review I am in awe of the goodies, lately Ipsy and Birchbox have been not so hot in my eyes, so this for sure might be what I need to add to my subscription box addiction. Great box and thanks for sharing! Go for it, girl! For only $21 a box, the value is amazing! Every time I do the math (just check out my previous unboxings!) the value is always around or (more often) over $100! And even if they include products I can’t use, they make awesome gifts because they’re full size! That Tarte eyeliner is gorgeous! Definitely the stand out item ? Yeah, nothing really ‘got me giddy’ this month (except maybe the Tarte liner), but last month’s box was filled with lots of items I have been using on the daily! 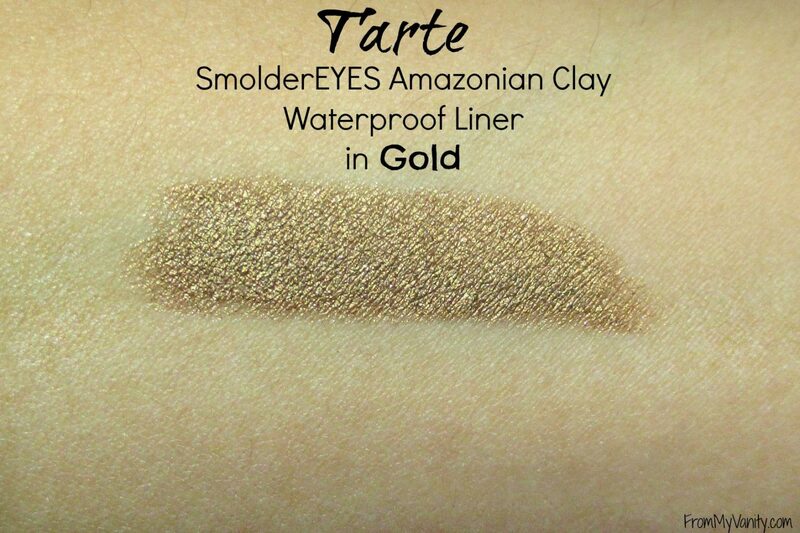 I love Tarte Cosmetics! The color of the waterproof liner is so beautiful and shimmery! I’ll have to check it out for sure. I’d have to say not my favorite box that I’ve seen, but that Tarte liner is gorgeous! What a great color for some Fall makeup looks! 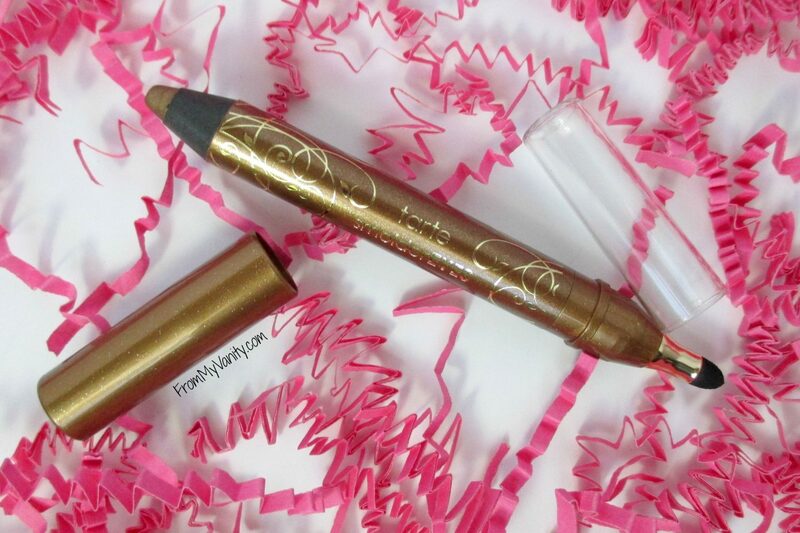 I agree with the others: not the best of the Boxycharm boxes, but the Tarte eye crayon is gorgeous. I also love Chella, though I don’t need more brow gel, lol. That Tarte eye crayon looks so pretty, that to me looks like the best thing in the box. 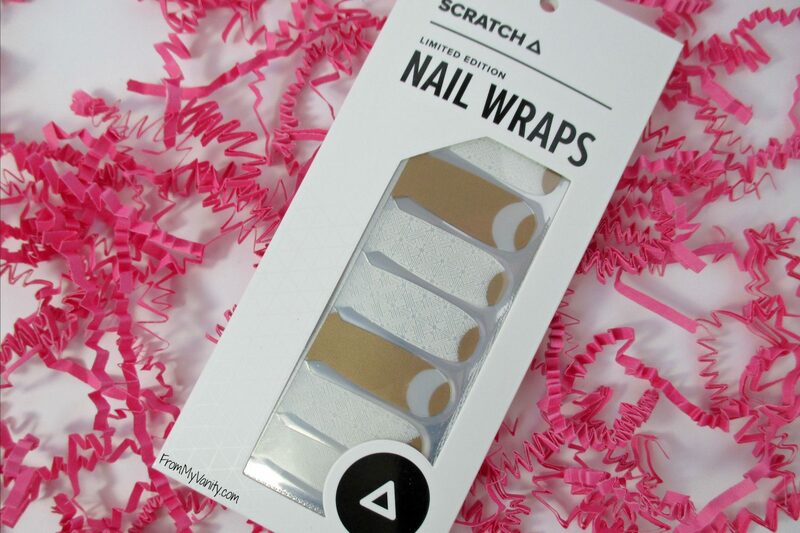 I like certain nail wraps, but those look kind of blah haha! I was thinking that brush looked good for face masks before I even read about it! Hah. I use a similar brush to apply masks but want one a little bigger, this looks like a good size!